NPR reports that Bolsonaro’s decree “[removes] the need to prove necessity” when purchasing a gun. When he was campaigning to be president in front of crowds, Bolsonaro had a signature gesture. He’d hold his hand aloft and make his fingers into the shape of a pistol. That’s how he symbolized his campaign promise to give Brazilians far greater access to guns. Brazil leads the world in the total number of homicides. That promise did a lot to help get Bolsonaro elected. Today, Bolsonaro took a step towards keeping it. 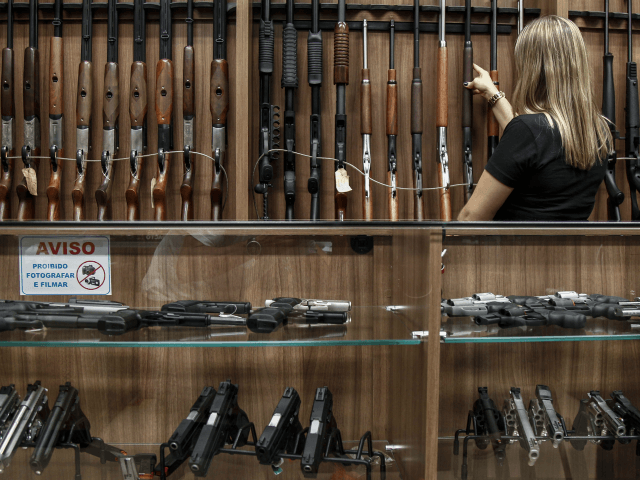 Brazilian law already allows people over 25 to possess firearms under certain conditions. One was that they had to prove why they needed a gun. That sounds easy. In practice, the police frequently turned them down.